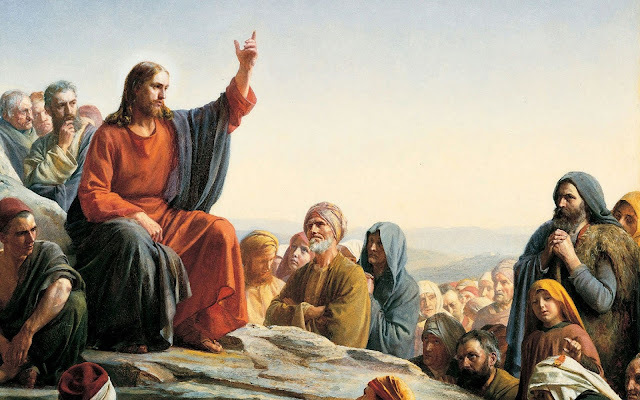 If only Jesus would speak clearly to begin with, he would not have to go out of his way to try and assure us he is not chang­ing the law and the prophets. Every­one would know. But this rabbi Jesus has always been full of con­tra­dic­tion and confusion—particularly in these reck­less inter­views he insists on grant­ing. Con­sider that on the one hand he says: “Do not think that I have come to bring peace on earth; I have not come to bring peace, but a sword” (Matthew 10:34). Then he says, “You have heard that it was said, ‘An eye for an eye and a tooth for a tooth.’ But I say to you, Do not resist one who is evil. But if any one strikes you on the right cheek, turn to him the other also” (Matthew 5:38–39). Well, which is it? It can’t be both! Either Jesus is a reck­less lib­eral paci­fist or he believes Israel has a right to self-​defense against the enslav­ing Romans. The Chris­to­la­tors have no cred­i­ble answer for this one.